Chances are at sometime in your life, you have come across a dead critter that has baked in the sun for a bit. The stench penetrates your nostrils and usually your stomach tends to turn. I keep tripping over a dead possum. This critter died in 2007 and did not get buried until 2010. Somehow it keeps getting dug back up to bake in the sun. Of course, I am referring to the critter of Possum Kingdom Lake. 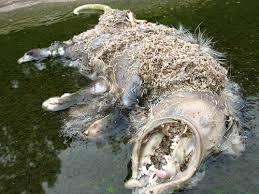 I had enough of this carcass in 2011 in my 3 part blog – https://darrenyancy.com/2011/02/24/the-water-flows-like-money-part-1/, https://darrenyancy.com/2011/03/04/the-water-flows-like-money-part-2/, and https://darrenyancy.com/2011/03/19/the-water-flows-like-money-conclusion/. I told you about the issue on water flow, electric rates, and misuse of bond funds. I was on the trail of the scandal surrounding the sale of lake front property at PK Lake involving the Brazos River Authority (BRA), but I did not hit the mark. Good thing someone else kept on the trail…. Gent by the name of John Marshall completed the puzzle of scandal with the complete details of the taxpayer screwing on the sale of the PK Lake property in his book Playing Possum – Tale of the River Card Round I , and – The Texas Miracle – Tale of the River Card Round II. The first is available online at Barns & Noble. The second is exclusive to his site http://thetexasmiracle.com . The site is being updated, so if you do not see the story the first time, keep checking back. In short, the bill that allowed the sale of the property was not even law when the BRA sold the land. The deal itself – whew! What a steal! No current appraisal to gauge value (one was ordered, but never given time to be completed). Completely ignoring a report from the Staubach Company in 2006. Potential misuse of insider information between the buyer and a BRA appointee….. There is more and it’s a mess. Now comes along a report from the State Auditors Office on the Brazos River Authority from Fall 2014. Don’t personally know the fella that penned this report, Mr. John Keel, but I think his research skills are either tainted or he is completely full of crap. There are 5 chapters of focus – Chapter 4 hones in on PK Lake. Not only is there written testimony on my blog from former BRA Pres Chris DeCluitt that refutes these findings, I have personally seen the receipts on the work that had been done on the hydros when I was there in 2010. The 3.8 mill was missing, but work had been performed on the units. It was not easy and I spent a day at BRA headquarters going over data, but in the end it could only be surmised that the units were in damn good condition. I am re-attaching the admission of Chris DeCluitt from 2010. I am also attaching the application and approval order of Brazos Electric Power Cooperative (BEPC) to takeover the Federal Energy Regulatory Commission (FERC) license that the BRA had in 2008 for PK Lake. This document is FERC’s approval of the contracts between BEPC and the BRA and allowed them to move forward. Find it real unusual that BRA would represent to FERC in 2008 that the units were good enough to transfer a license, but have an audit directly contradict this. What Keel has penned regarding this chapter, in my opinion, is nothing short of fraud. Here is the question – why put forth such obvious bs? So, you get the audit and the two other docs. Read the audit and read the other docs. Then go back and re-read my blogs on this. Then read John Marshall’s writing. When you review it all, I have a feeling that you will smell the same stench I do now.